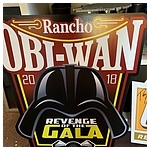 The evening of October 20th saw Rancho Obi-Wan host its 7th annual fundraising party, and this year it was called the Revenge of the Gala! Friend of the site Michael Wistock was on hand to cover the event and you can check out a gallery of his pictures from the night by clicking on the previous link. 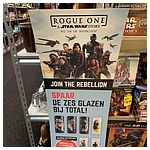 And for anyone wanting to attend next year's gala, be sure to sign-up for membership at ROW to get advance notice of when it is announced.